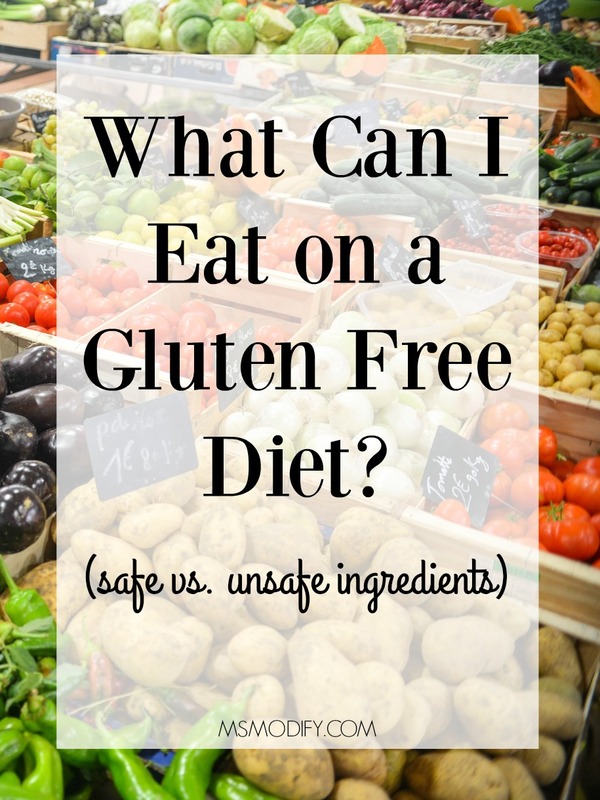 Trying to figure out what contains gluten or what is safe to eat can be a major pain… yes I know! When I first got diagnosed with celiac I thought it would be easy to buy gluten free items because I just had to look for the words “wheat, rye, or barley” and avoid them. Umm yeah, that’s not the case. Apparently there are a million items (or what seems like a million) that contain those ingredients or forms of them. 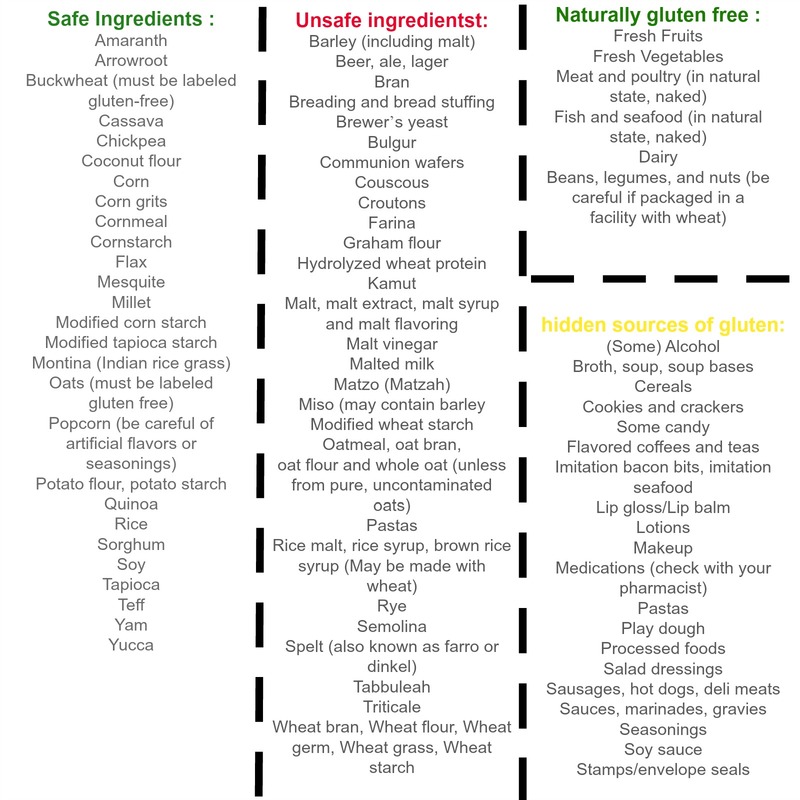 I put together a list of safe, naturally gf, unsafe, and hidden sources of gluten. I hope this helps making shopping a little easier. I know. I know. Many of these items will cause you to say “huh?” but trust me you will come across these words sooner or later in crackers, pasta, baking mixes, etc. *Remember gluten comes from wheat, rye, and barley so just because a label says “wheat free” doesn’t necessarily make it gluten free! 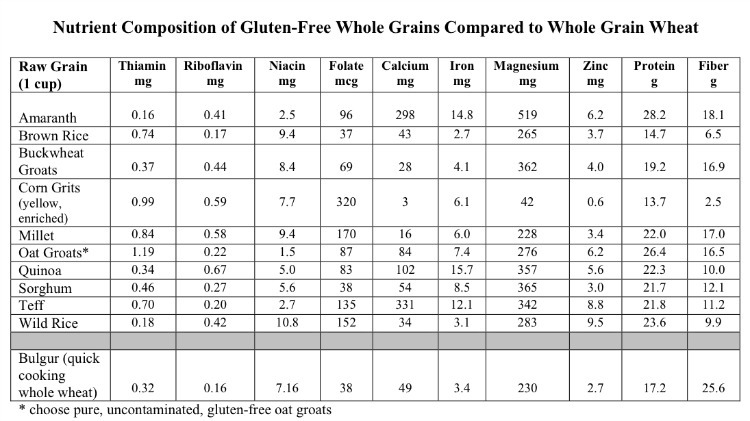 I found this incredible chart online that breaks down nutritional components of gluten free grains versus wheat. It’s important to buy grains that give you the most bang for your buck (nutritionally speaking). I hope you love this as much as I do! I highly recommend Shelley Case, RD, author of Gluten-Free Diet: A Comprehensive Resource Guide. I saw her speak at a celiac conference and use her book as a references often. Okay, so now that you’ve read over this list and are super overwhelmed (I know. Hang with me), I have a secret for you… I have an app that will make your life a million times easier when you grocery shop. Also, don’t forget to learn about the surprising items that contain gluten! 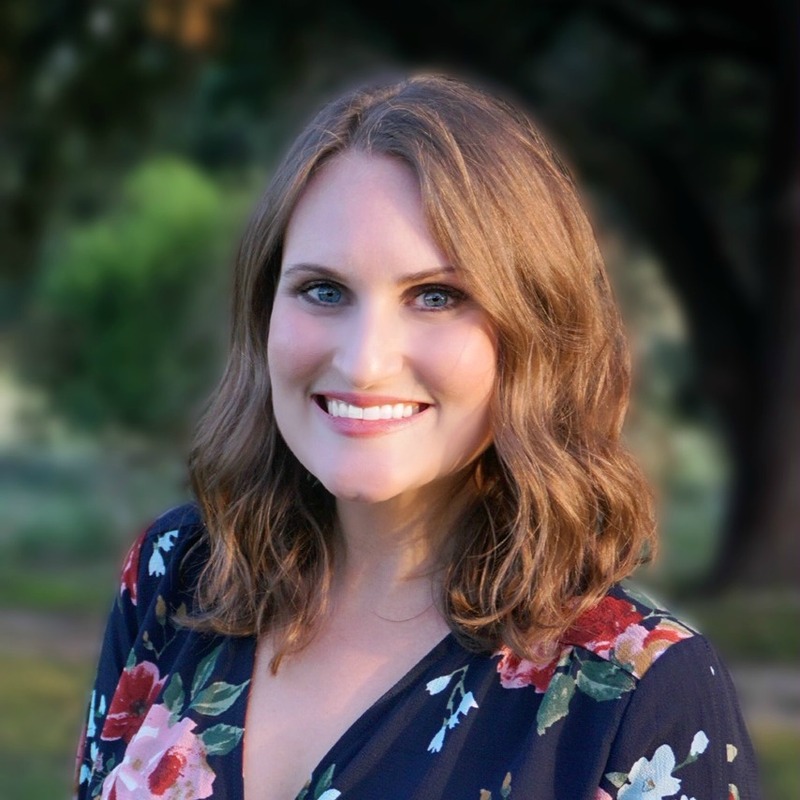 Shelley Case, RD, author ofGluten-Free Diet: A Comprehensive Resource Guide. This entry was posted in celiac disease, Health/Wellness, Lifestyle and tagged gluten free food, labels, nutrition, products. Soy sauce IS NOT GLUTEN FREE UNLESS LABELED!